Andrew and I have been working together this week again. The topic this time is Stability Ball exercises and the very effective workouts you can do with this inexpensive piece of equipment. The benefits of working out on a ball are that it creates an unstable base, on which it is more difficult to maintain balance while performing exercises. In order to stabilise yourself, you then need to engage more muscle groups and the core, therefore increasing the overall impact of the exercises on the whole body. Andrew has outlined his Top 10 Stability Ball Exercises and I have taken some of those exercises and put together an example of a workout you can do with them on their own, or combining them with Kettlebells, bodyweight, or other training you do in order to improve the overall functioning of muscles groups together. Even though the workout had no cardio in it, I was sweating from the constant balancing throughout (especially the Bulgarian Squats). There are 3 rounds of 6 exercises in this workout. Each round is slightly different as the effort interval will increase each time. 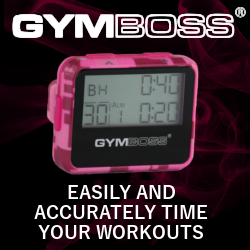 Using my Gymboss Interval Timer I set 6 cycles of 10 seconds “rest” and 20 effort (round one), then 10/30 for round 2, and 10/40 for the final round. There is very little time between intervals so it’s not possible to write down scores. Feel free to play about with the effort intervals – I think in hindsight 20 seconds effort is too short, it might be better to start with 30 seconds. For a short workout like this I was surprises at how taxing it was. This would complement a Tabata, or to have intervals of KB swings in the mix just to bulk it out and intensify the heart rate that bit more. You can pick and mix exercises from Andrew’s post and come up with your own workouts too. I can tell you that the Stability Ball Leg Curls are a great exercise. Upper Body and Core | And a treat!